Asana has announced that it has raised $50 million in a Series E funding round that valued the company at $1.5 billion. The round was led by Generation Investment Management, though others including Lead Edge Capital and World Innovation Lab participated. Existing investors renewing included 8VC, Benchmark Capital and Founders Fund. This brings the amount raised in 2018 alone by Asana to $125 million. Generation Investment also led the $75 million investment in January. It is uncommon to find two significant investments in a company within a single year. However, because Generation Investment Management led both rounds it feels that this is an affirmation of what they feel Asana is capable of. It will understand the business better than anyone new coming in. 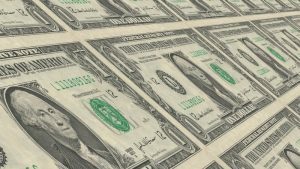 Generation Investment Management may also have supported the Asana leadership in the funding round. 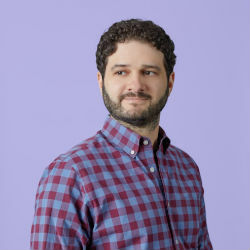 Dustin Moskovitz, co-founder and CEO, Asana commented: “We’re honored to be joined by an industry-leading group of investors who share our vision for the future of work. As the work management imperative becomes increasingly global, we’re focused on supporting our expanding international team and customer base to meet the growing demand to democratize project management and improve team coordination. Where do you spend $50 million? According to the press release Asana are investing in growth. It will add a new data centre in Europe. Asana is planning to open one in Frankfurt, Germany in the first half of 2019. It is also planning to attack the Asia market in earnest increasing its footprint with a presence in both Sydney, Australia and Tokyo, Japan. Though it falls short of making an announcement of additional data centres in that region. His vision is to “build intelligent, predictive tools” that could potentially improve organisation productivity by 100% or even 200%. The aim is for Asana to be given a project and then automatically allocate work out using machine intelligence. It distributes work tasks to the best person based on skills and availability. Asana will learn, as people complete tasks, who is the most efficient and will better allocate tasks in the future. This is not simple and Rosenstein notes that it would be accomplished in stages as additional factors are introduced. The funding will help to move the development of Asana closer to realising that vision. Asana will also embed Project Portfolio Management into the solution, providing the overview of projects and progress in simple heat maps that managers can understand easily. Delivering them with the knowledge to focus on the issues rather than spending time working out where there projects are failing. This will not just be for Project Managers but all the way up the hierarchy to the CEO. It allows them to see projects and portfolios within divisions and functions as well as organisation wide. It will also provide a complete overview of projects and initiatives within an organisation. Generation Investment Management has clearly bought into that vision and its potential. Colin le Duc, co-founder and partner, Generation Investment Management and Asana board member commented: “At Generation Investment Management, we’re grounded in the philosophy that through strategic investments in leading, mission-driven companies we can move towards a more sustainable future. This is not a huge sum of money for a Series E funding round. It will be interesting to see whether Asana needs to raise more money in 2019 or whether it can further push its growth on its own revenues. Those revenues should now be above $100 million. In 2017 they reported between $60-$90 million with 80% growth. If it is running profitably soon it may look to IPO in the near future, if that is the end game of the company and its investors. The odd note about this investment is that it is not a huge one. If Asana were looking to accelerate growth in a new expansion phase then one might have expected a higher amount. Instead this feels like the company has a temporary shortfall in funding to push through the expansion. Is it just a result of needing funding for additional growth? It can do a lot with $50 million. However, it will also need to deliver revenues and or growth figures that meet the expectation of the investments. Generation Investment Management clearly has faith that the leadership can deliver. An indication of that success would be a greater openness around revenues and customer numbers by Asana. They should also share other key KPI’s such as retention and customer satisfaction. The Work management space is highly competitive at the moment. While it was a Leader in the recent The Forrester Wave™: Collaborative Work Management Tools for The Enterprise, Q4 2018 it is behind others in the G2 Crowd team collaboration grid. It is also trending well in the G2 Crowd Grid for Project Management.